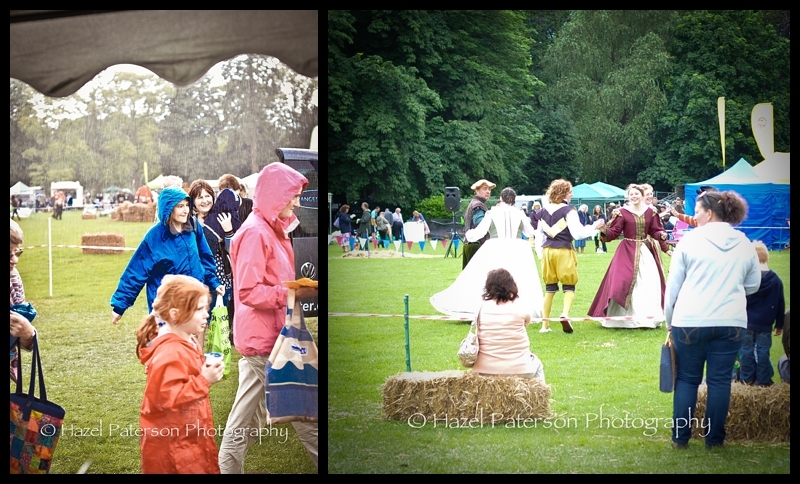 Each year Melton Mowbray opens up the parks in the town centre to the Country Fair. Last year Glen and I went along and got rather sunburnt (and rather drunk on Farmer Fear’s cider) whilst watching the duck herding (yep that’s right, duck herding). This year was slightly different. Glen was unable to come along, there was no duck herding, yes thats right, NO duck herding (I’m still upset by this) and there was definitely no sunburn. There was however good old Farmer Fear with his cracking cider, pitched once again next to the Great Food Magazine stand and the food tent – perfect! Farmer Fear cider and the Great Food Magazine stand, the gathering points of the food lovers at the Country Fair! It was a real food lover’s meet up at the Great Food Magazine stand, it’s been ages since I had a good catch up with Matt, the editor and his wife Philippa and it wasn’t long until I bumped into the wonderful Ben Jackson from BBC Radio Leicester who’s Food Friday cooking feature I do and BBC Radio Leicester’s fab gardener and all round ace guy Ady Dayman. Well now if that wasn’t reason enough to drink more cider then my fellow Food Friday cook Penny appeared! Penny had entered the Big Bake competition which finds the best loaf/cake/speciality breads in the area, and you know what? She only went and won it! 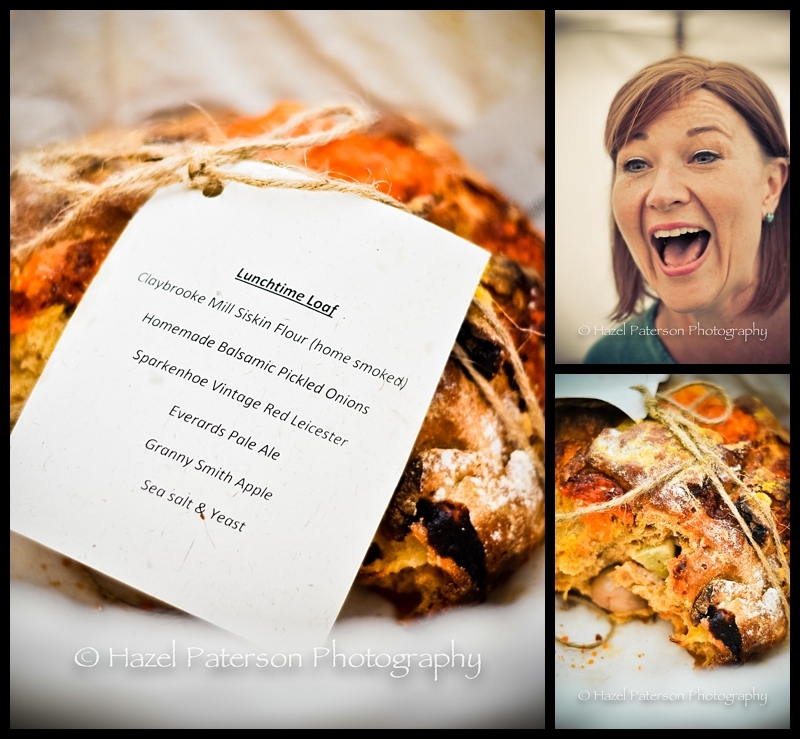 Penny’s winning loaf and the woman herself! The Real Bread campaign stand is always an absolute cracker. 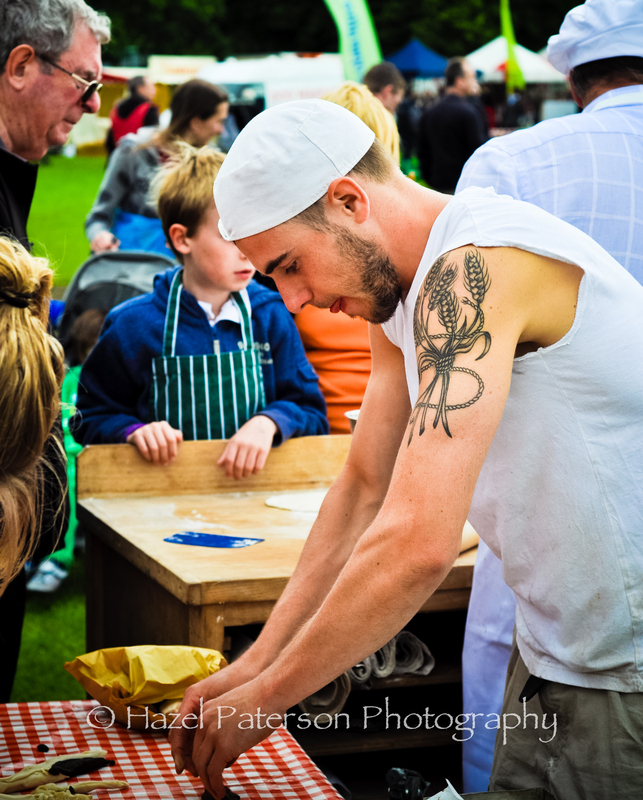 Lots of wonderful heritage wheat breads, free pizza making, wood fired oven, lots of kid’s bread classes and Vincent Talleu with quite possible the coolest baker’s tattoo ever. Local baker Paul from Melton bakery Paul’s Soyfoods was there not only with his breads but with his homemade fermented goodies too. There was sauerkraut, japanese umeboshi plums, miso, kimchee to name but a few and they were all incredible. 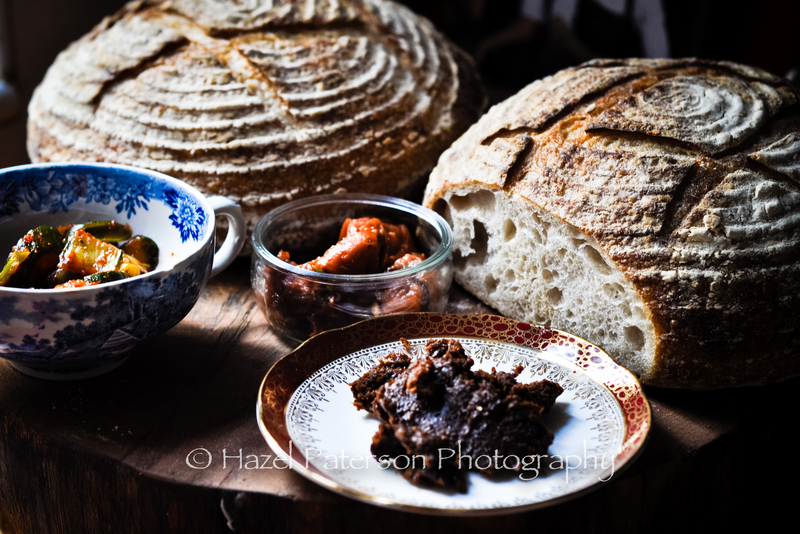 Sourdough loaves, miso, kimchee and umeboshi plums ALL locally made! 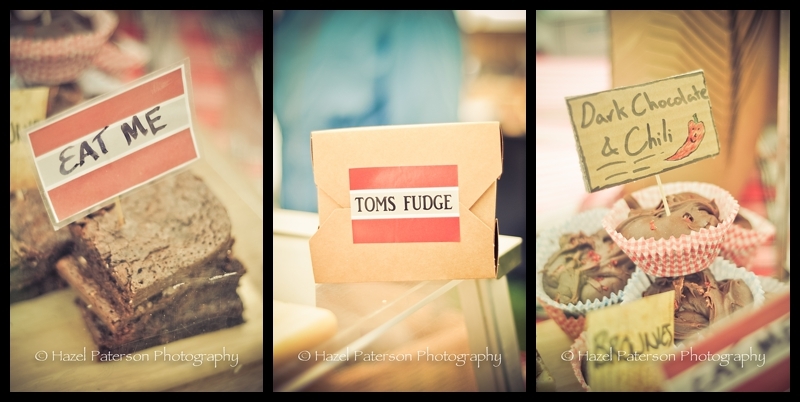 Then there were Tom’s Fudge boys, who all happened to be rather good looking and had the strange affect of turning myself and Philippa into a couple of pervy old women whilst still finding the name “Tom’s Fudge” childishly hilarious. So no duck herding, what did we have in it’s place? Well bearing in mind that the Country Fair has 3 main themes: food, gardening and animals it was somewhat missplanned to then have a cannon ball and gun performance where the deafening explosions scared all the animals (everyone brought their own dogs along to the dog show) and made all the children cry. This had to be cut short as wails of children, terrified howls of dogs and whining horses could be heard over the bangs. Like Tom’s Fudge this shouldn’t have been funny but it really was. There was only one other real low point to the afternoon and that came in the form of some god awful shite traditional dance routine which on reflection is kinda what I love about things like the Country Fair. So that was it for another year. I bloody love the Melton Country Fair but lets hope that next year they bring back the duck herding.